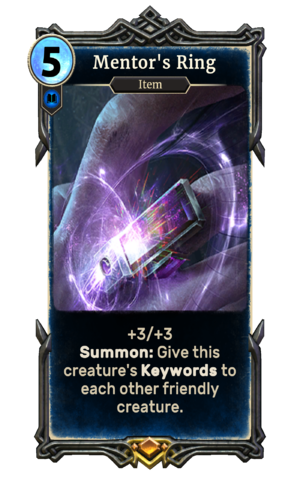 Mentor's Ring is a legendary Intelligence item card. It is part of the Core Set. This card's summon ability applies the Mentor's Teachings card effect. The Mentor's Ring made its first appearance in Morrowind. For more information, see the lore article.